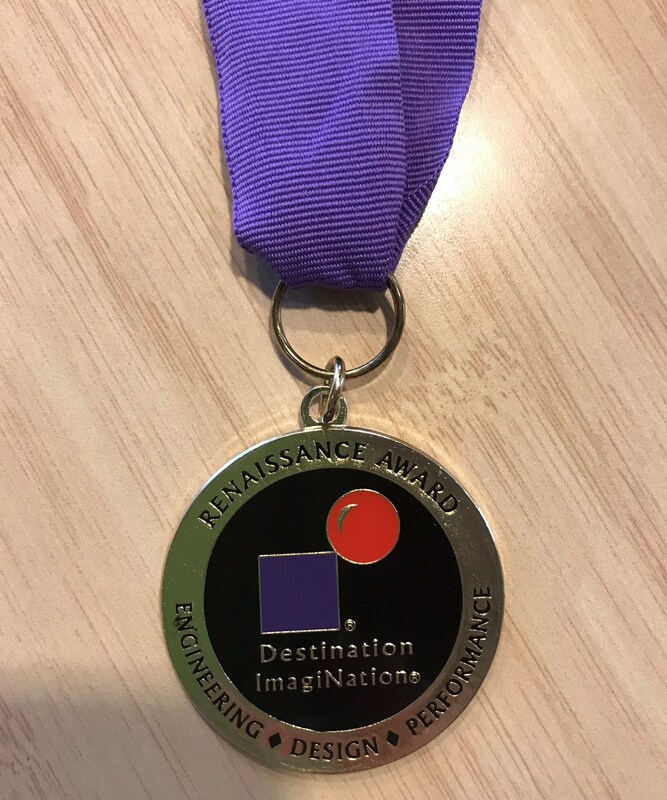 The dream continues for Lucerne Valley Elementary School’s DIDAR Destination Imagination team, which on April 7 won the Renaissance Award of Achievement at the 2018 California State Tournament. The award was given for the team’s solution to a challenge and the design of the “HVROOM.” Also known as the “Pepper-Gram,” the invention is a merry-go-round sound system. The Global Finals, which will be held on May 23-26 in Knoxville, Tennessee, is regarded as the “world’s largest celebration of creativity” and the culmination of the every Destination Imagination (DI) season. During the four-day event, 8,000 students from 17 countries are expected to compete. The Global event will include more than 40 workshops, games, outdoor activities and more. The weather created a challenge of its own for competitors at the recent State Tournament. 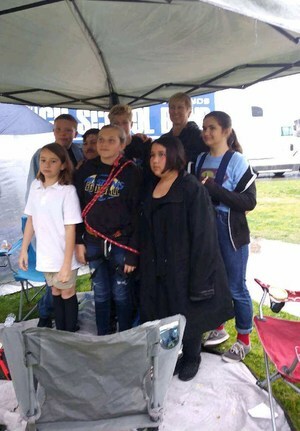 But the wet weather didn’t dampen the spirits of the never-say-die DIDAR team, officially known as “Destination Imagination Dragon Adventurers Reunited.” DIDAR team members, in alphabetical order, are Kevin Angeles, Emilia Daniels, Chloe Evans, Evan Herriman, Kylee Lambert, Madison Miller and Wyatt Perry. Competing in the “Unlikely Attraction, Middle Level” event at the State DI Tournament, DIDAR finished in fifth place, beating teams from Auburn, San Ramon, Roseville, Redlands, Folsom, Bakersfield and Clovis. 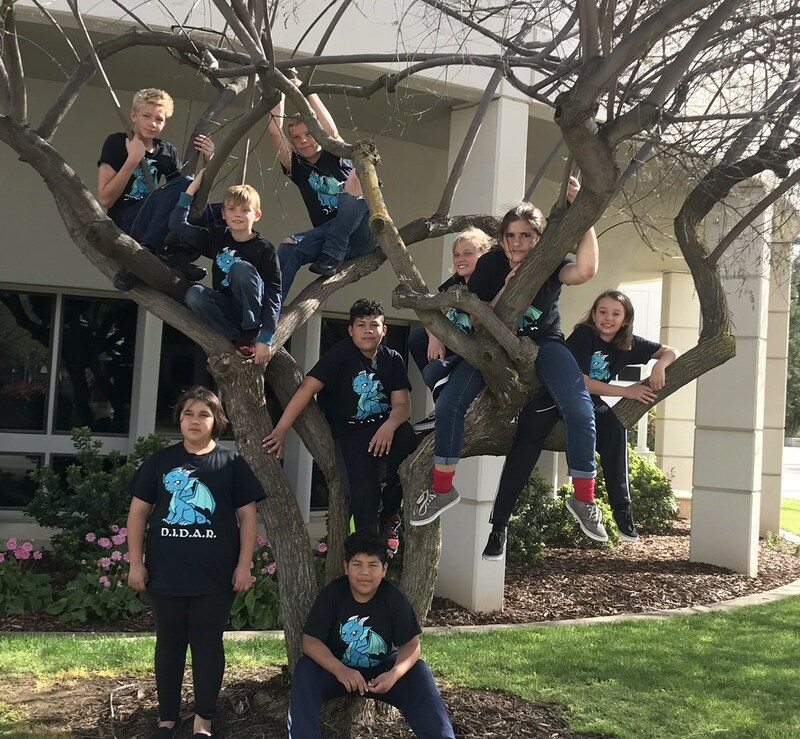 Earlier, at the regional-level competition in Redlands, the DIDAR team won a first-place trophy. 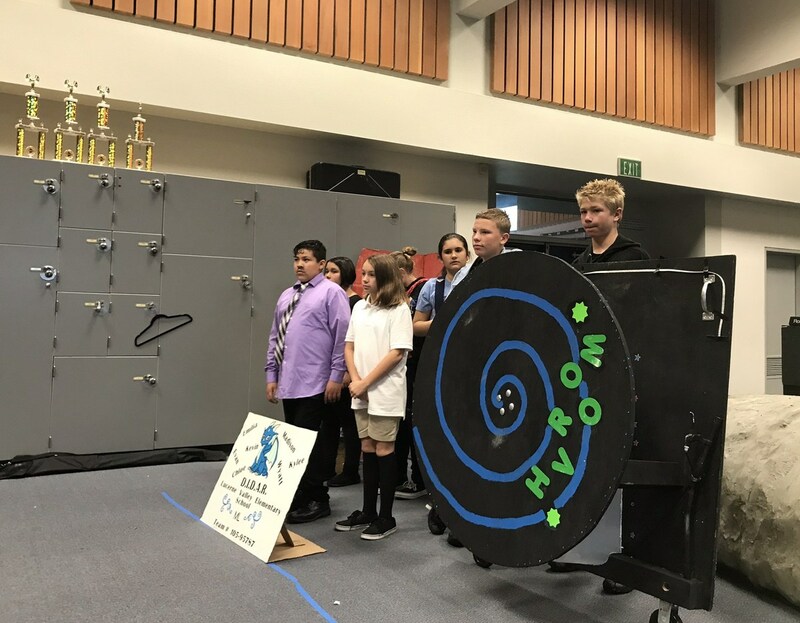 While Destination Imagination is currently geared for middle-schoolers, all Lucerne Valley DI participants are in elementary school with six participants in sixth grade and one in fifth grade. Click HERE for a previous article on the Lucerne Valley Elementary School DIDAR team.